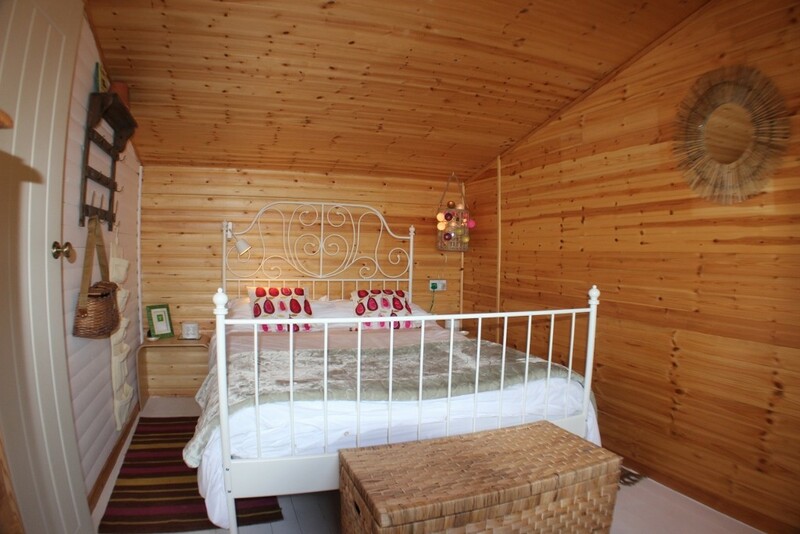 The Potting Shed is our lovely boutique 2 room cabin suitable for 2 to share (and possibly a third on request). People tell us they love sipping a glass of wine whilst watching the sun go down from the privacy of their own secret garden.. 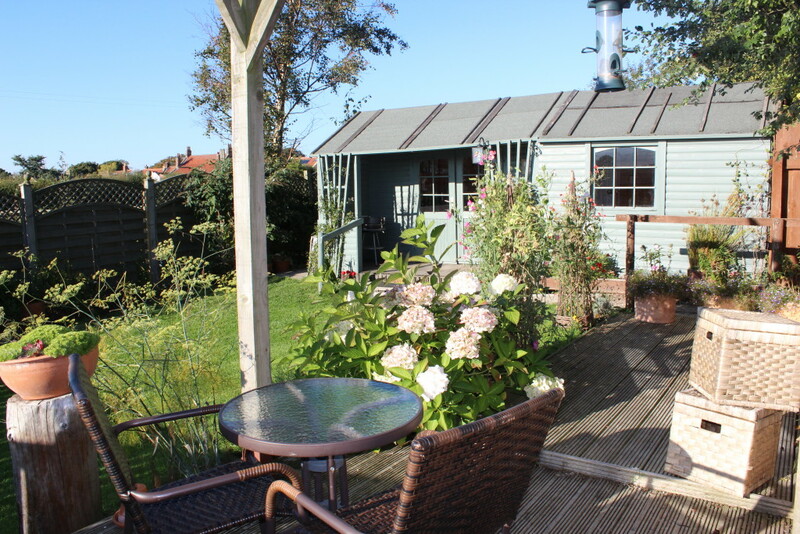 The Potting Shed is furnished in a cottage garden style with a pretty double bedroom with chest of drawers, mirror, TV and plenty of magazines to leaf through. 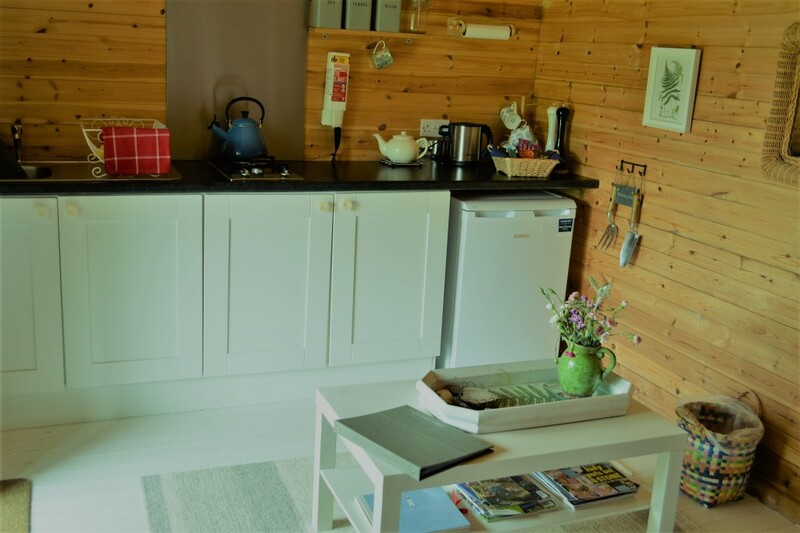 The kitchen- diner is fitted with a 2 ring gas stove, fridge, sink providing cold water, kettle, coffee table and all the basic crockery, cutlery, glasses, cups and pans for glamping style self catering. We even squeezed in a small sofa bed for an extra camper! 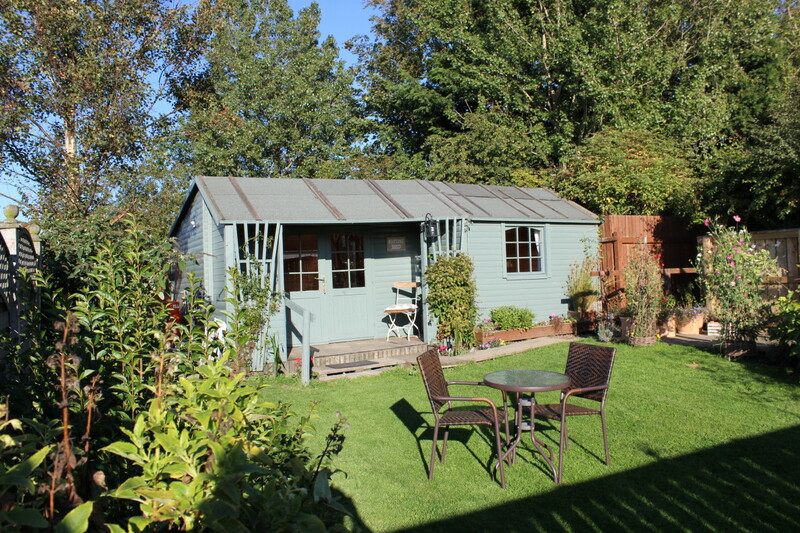 The Potting Shed is dog friendly and has a lovely enclosed private garden perfect for containing your pooch. With a decked area, table and chairs, Charcoal BBQ and plenty of privacy the garden is a lovely place to relax. 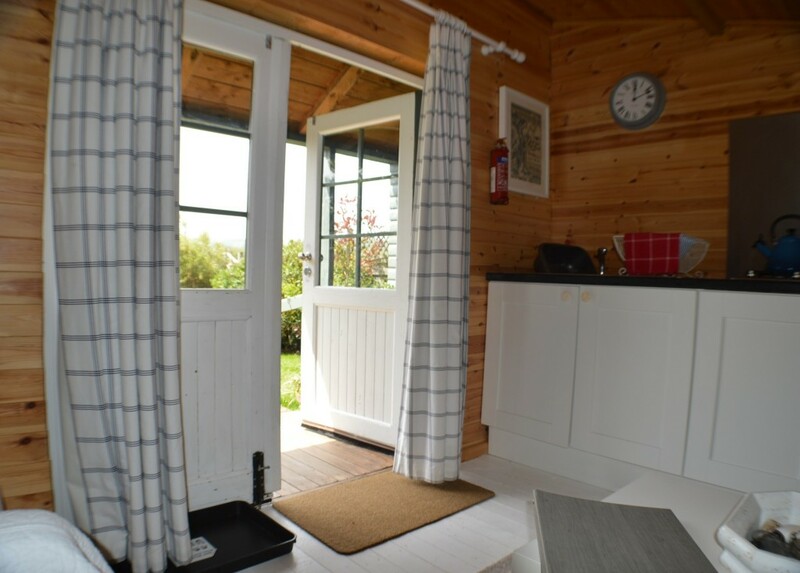 Although the ‘Shed’ does not have its own toilet or washroom facilities it is just metres from the communal washroom building. 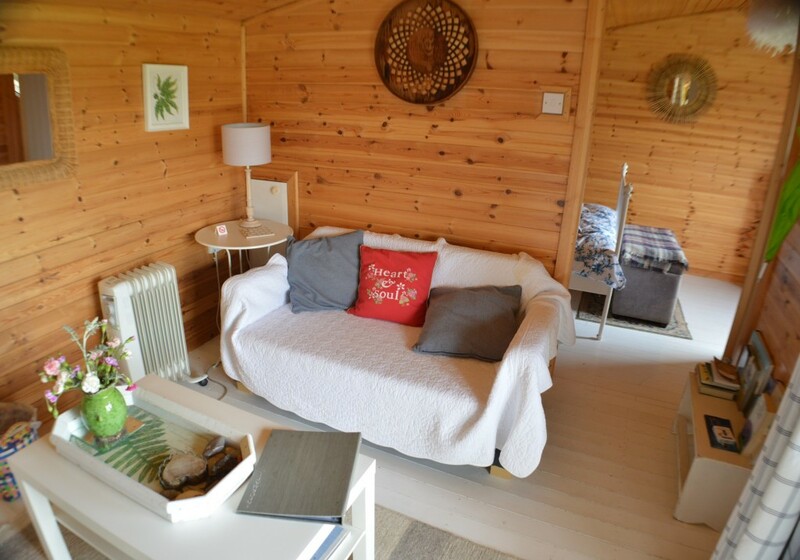 Bedding is provided as standard and you can opt to hire the bed linen and towel bundle so your bolthole is beautifully made up and ready for your arrival.